If you're waiting to nab one of Sony's Android tablets, you might have to head to the UK in order to get one. According to documents obtained by This is my next pre-orders for the S1 are slated to start on September 1 in Sony Centre stores in the UK. According to the documents, Sony Centre stores are pushing to be the "preferred retailer" for the tablets, and will train their staff to know the S1 in and out and be able to answer customer questions and deal with concerns. 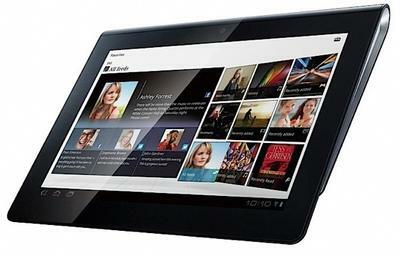 The S1 was officially announced by Sony in late April, along with a clamshell-designed S2 tablet. The tablet has a 9.4" screen with an off-center back design for easy gripping and increased stability. The tablet is also expected to able to be used as a remote for Sony Bravia products, and be able to stream content to televisions and audio to speakers. No pricing has been announced yet for the S1. What do you think? What do you think pricing will look like when it is announced?